Ellie Harrison is an artist and activist based in Glasgow. Her work aims to investigate, expose and challenge the absurd consequences of our capitalist system and to explore the impact free-market forces are having on our society and our individual day-to-day lives. 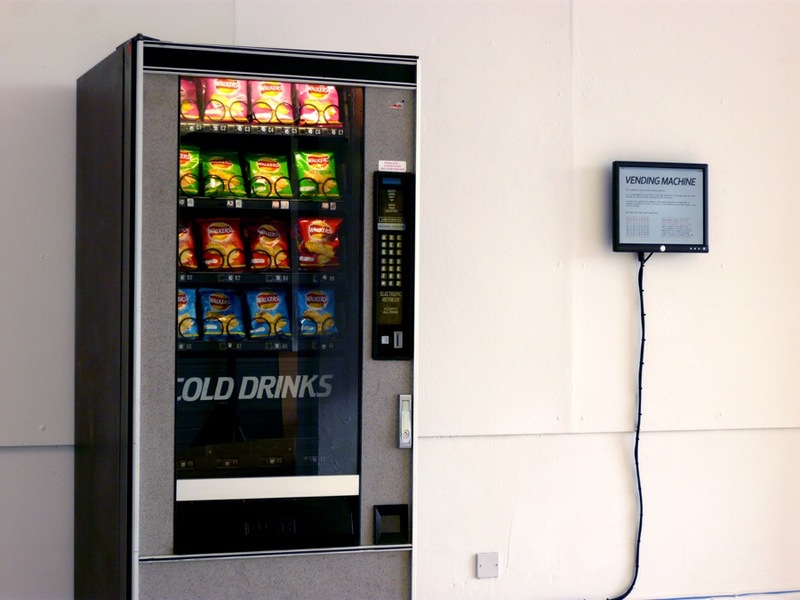 This vending machine has been redesigned to describe data in a new and unusual way. Instead of responding to the customer’s desires, it now only releases free snacks when search terms relating to the recession make the headlines on the BBC News RSS feed.